September, 1996 - the foundation of the first line-up. The band is formed by Leshy (drums), Ilya (guitars) and F. (vox). The first band's name - BEDEVIL. Two weeks later Rustam joins as vocalist and keyboardist. Bassist Miguel "The Blind" comes with him. 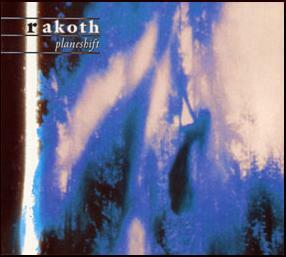 Rustam offers to change band's name to RAKOTH (RAKOT was the initial spelling). In Nick Perumov's "Chronicle of Hjorvard" Rakoth is the half-god, so-called "True Mage", who had the title Master of Darkness for using Darkness for his magic. He rose against the Young Gods accusing them of being Liars stealing mortals' freedom. After his second try he was defeated, disincarnated and bound to the world called "The Bottom of Worlds". With help of his friend, Hedin "Aware of Darkness", he returned and overthrew the Young Gods thus becoming the New God along with Hedin. December, 1996 - the band is formed completely with coming of Black as vocalist with "clean" voice and changing bassist to Den. All music is written by Rustam and Ilya, lyrics - by Rustam. Now the band has its own face - Black's clean voice and Rustam's keys. The first song created is "Return of the Nameless" (first edition). The song becomes famous (in Obninsk) long before the first gig. February, 1997 - the first concert together with Dissenter - techno-death band. The concert represents the fest titled "Rock against chemical dependence". Needless to say that everyone (especially some members of the band) is deadly drunk. Nevertheless the gig is extremely successful. Amazingly, public seems to know RAKOTH well although no tapes are distributed yet and no gigs were given before. RAKOTH plays own early songs "Return of the Nameless" (first variant), "Unholy Temple", "One Step Beyond" (which is unrecognizably transformed into the song "Beyond" later), "Dying Realm" and STORM's "Nagellstev". March, 1997 - Tense relationship inside the band. Rustam claims to leave the band. Simultaneously Leshy and F. say they wanted to leave long ago. Band collapses. F., Leshy and Ilya form the band they call GORBUG and play black metal. 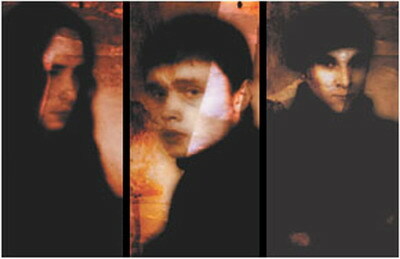 May, 1997 - Rustam decides to form new band and offers Black and Den to join. They plan to play doom with some other styles elements. Coincidentally, at the same time the band Dissenter falls apart and its guitarist/vocalist Dy wishes to play deeper music than death metal. Den invites him to the new band, which has no name yet. New line-up: Rustam - keys & voice, Black - voice, Den - bass, Dy - guitars. Leshy offers his help with drums. The band rehearses at Rustam's garage. June, 1997 - Band is in search for the name. Many variants proposed (MEPHISTO, UNBORN, TEARS, DOWNFALL, IN THIS ROOM), but none satisfies. Finally, Dy proposes to use the name RAKOTH again. Taking into account that old band RAKOTH doesn't exist anymore and that the name was offered by Rustam in the beginning, the name RAKOTH is accepted. July, 1997 - Leshy officially joins RAKOTH. The first demo "Tales of the Worlds Unreal" is recorded right in the garage. August, 1997 - Tape is given to A. Arzamascev, the head of Arzamascev's Music Center (later - Signal Studios). He decides to allow the band to record free at his studio. Demo tape "Dark Ages Chronicle" is recorded live, with no post-mixing, during only 4 hours. The quality of recording is that high that noone believes in that short recording time and in live recording. Later, in review given in DEATHRIDER 'zine we can see: "This tape was recorded (according to legend) during only 4(!) hours…". Rustam starts sending the tapes everywhere. September, 1997 - Solo-concert. As in the first case, the public knows the band well, so the gig goes perfectly. October, 1997 - Leshy suddenly leaves RAKOTH. 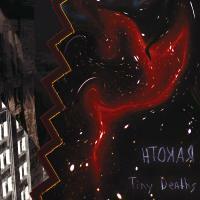 He plays with Fascist (now Tuur) and Ilya (now Vuulko) in their band they renamed into Темнозорь. They play so-called "true" pagan metal. February, 1998 - First review on "Dark Ages Chronicle" appears in VAE SOLIS web-zine. Positive one. All later reviews are positive as well. 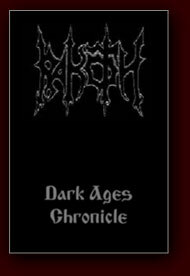 March, 1998 - Latvian distro-label starts distributing "Dark Ages Chronicle". April, 1998 - Rustam starts his solo-project Umbral Presence in order to create something more aggressive (and personal) than RAKOTH. June, 1998 - Another Latvian distro, Beverina Productions, starts distribution of "Dark Ages Chronicle". August, 1998 - The band enters Signal Studios to record their new creation. By the strange coincidence they begin the recording at the same day which was chosen (a year ago) for recording of "Dark Ages Chronicle". It is 18th of August. After the week of work they finally can celebrate the birth of their first full-length (57 minutes) album, titled "Superstatic Equilibrium". 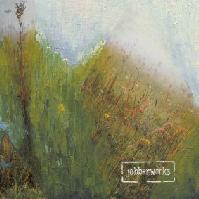 During the same session Rustam records the demo for Umbral Presence, "…et germinet Chaos". Both tapes are immediately sent to Elven Witchcraft. 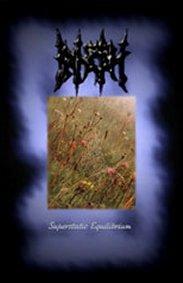 November, 1998 - "Superstatic Equilibrium" and "…et germinet Chaos" are now officially distributed by Elven Witchcraft. April, 1999 - "code666" is interested in getting RAKOTH's tape. Rustam sends "Superstatic Equilibrium" to Italy. June, 1999 - "code666" offers a deal to RAKOTH. August, 1999 - The contract for recording of one album is signed. March 2000 - Planeshift took 100/100 on Aardschok Magazine (Holland) & 6/6 on Scream Magazine (Norway), and tons of other highly positive reviews. April 2000 - a new Deal is signed with code666 for two more albums.